Previous Post A Small Party? Or possibly write something, a recipe, maybe? Since it doesn’t specify what type of paper? 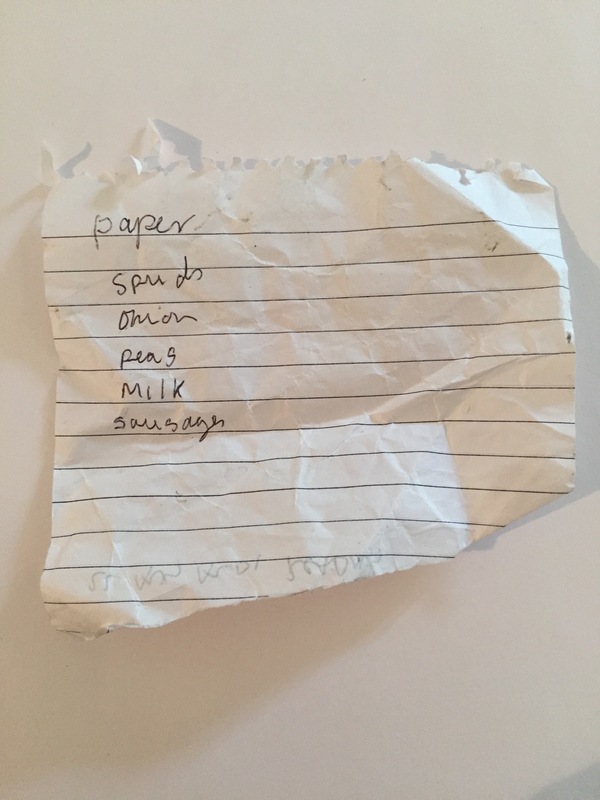 Maybe this crumpled list used the last of her writing paper. 😀 This is fun, postulating what people are doing via shopping lists! Love it. I think this is an early morning single man’s list. Milk for tea and a newspaper. Out to work, then for supper: sausages with onions, peas and mash.